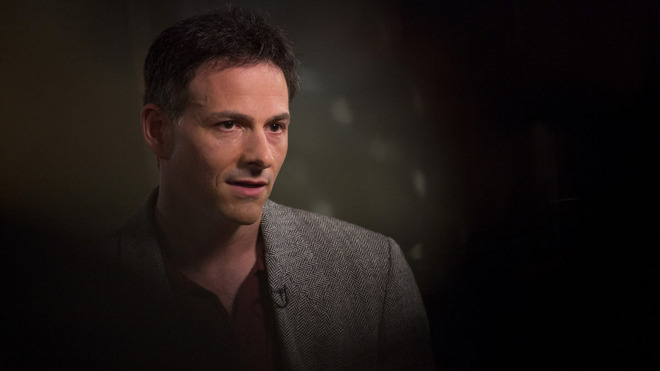 Infamous hedge fund manager David Einhorn, who has previously butted heads with Apple, remains bullish on the iPhone maker despite its recent market plunge, giving the company a vote of confidence during a recent conference call. "We continue to own Apple, which is traded down to a single-digit PE of a bear case earnings," said Einhorn, who runs the hedge fund Greenlight Capital. "We believe there is tremendous value in Apple's brand and growing global customer base that periodically buys new devices and increasingly buys additional services." Einhorn's comments come amid a steep decline for Apple shares in the wake of what many view as a disappointing fiscal quarter. The company has shed tens of billions of dollars in market capitalization since revealing its second-quarter earnings, which were off nearly $8 billion year-over-year. Despite his support of the company this week, Einhorn himself did cut his share in AAPL stock in the fourth quarter of 2015. Still, Einhorn's position does not mirror that of activist investor Carl Icahn, who got out of the stock completely in recent weeks. Icahn, previously one of Apple's primary Wall Street cheerleaders, cited concerns about Apple's future in the tightening Chinese market. Einhorn has had a difficult relationship with Apple, having publicly contested the company's growing cash hoard, claiming the practice hurt investors. He sued the company over the issue in 2013, but dropped the action less than a month later.